SMASH is a three-year project funded by the ‘Go For It Fund’ and another prominent Christian Funder. It aims to promote sport and physical activity within the community. Within the church, there are programmes to develop faith alongside physical fitness. The project also aims to encourage leadership in sport particularly amongst young people and to promote inclusion. SMASH is based in our newly built Games Hall but also uses the fantastic local outdoor environment. 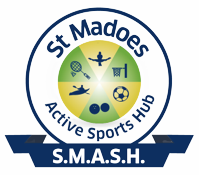 SMASH works in partnership with the Community Sports Hub and many other Perthshire Sports Clubs and organisations. Criss-Cross has been set up with help from a range of funders and is a three year project. Criss-Cross aims to increase opportunities for socialising locally and will focus particularly on vulnerable groups within our community. Criss-Cross will strive for improvements in health and well-being. Criss-Cross meet its aims through: setting up a daily drop-in Hub in partnership with Cafe Connect, supporting existing activities, encouraging volunteering, and initiating new events and activities.